Neste and Genève Aéroport are pioneering together to make flying more sustainable by starting to decarbonize aviation towards fossil neutral growth. 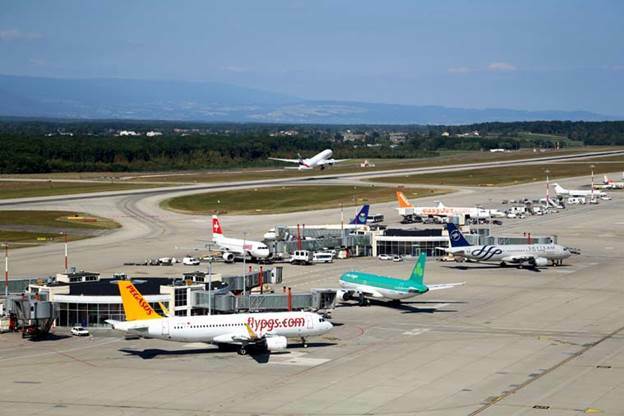 Genève Aéroport is planning the introduction of renewable jet fuel for aircraft operations from Geneva International Airport; the target shall be at least 1% (one percent) of the annual jet fuel consumption at Genève Aéroport shall be composed of renewable jet fuel starting late 2018. This is an excellent example of a state, an airport and a renewable solutions provider collaborating to decrease CO2 emissions in aviation. "Genève Aéroport is exemplary in sustainability with its ambitious goals to reduce its greenhouse gas emissions. We are very excited to collaborate with Genève Aéroport and their airline partners to show the way to the aviation sector. We both share the common view that decreasing CO2 emissions in aviation is crucial in combating climate change. This is an important step for Neste in implementing our growth strategy for renewables in applications outside road traffic fuels. Neste MY Renewable Jet Fuel is Neste's sustainable solution for reducing CO2 emissions in aviation," says Kaisa Hietala, Executive Vice President in the Renewable Product business area in Neste. "As aviation is growing, airports have a crucial role in taking initiatives which aim at reducing environmental impact. Genève Aéroport is particularly pleased to work in this very ambitious project together with Neste, the Swiss authorities, airlines operating from Geneva, and locally established fuel companies," says André Schneider, CEO of Genève Aéroport. For Neste, the development of Neste MY Renewable Jet Fuel(TM) has been a long journey taking several years: from building proof of concept to ensuring the quality and performance that fully meet the aviation industry's expectations. Neste's renewable jet fuel technology and quality is proven in thousands of commercial flights by e.g. Lufthansa and is now ready for commercialization. With 16.5 million passengers in 2016, of whom a significant number are business travelers, Genève Aéroport has a special place in European air traffic. It has a strong network of 142 direct destinations, of which 23 are intercontinental. Sustainability is one the strategic goals in the development of the airport's actions.